Families evacuated after local home gutted due to fire caused by oven. A Glasgow family were forced to flee the family home after the oven burst into flames. Scottish Fire and Rescue Service (SFRS) crews from Paisley and Johnstone were sent to the incident following a 999 call from a member of the public and arrived to find flames had broken out at the cooker. They provided initial treatment to the woman and requested an ambulance attend the scene so that she could receive a precautionary check-up from a paramedic. SFRS crews in Glasgow’s Southside responded to a similar incident around 12:30am (Thursday 9 January), with two appliances sent from Govan and Pollok after a 999 call reported a fire within a house in Mansewood’s Burnsfield Drive. The incident commander committed four firefighters to the property equipped with both a high pressure water jet and a dry powder extinguisher. Firefighters quickly putting out flames before the fire could spread beyond the kitchen and provided treatment to a woman who suffered slight smoke inhalation as a result of the fire. Following the Fire. The local fire safety officer from the rescue service issued a warning to check your oven, especially in crevices and areas where fat and grease could build up, becoming highly flammable and difficult to extinguish. An SFRS spokesperson said: “These incidents are a clear reminder for us all that fire can happen to us and we need to take action to keep ourselves and those around us safe. “Most fires in the home begin in the kitchen and everyone can take simple steps to reduce the chance of it happening to us. 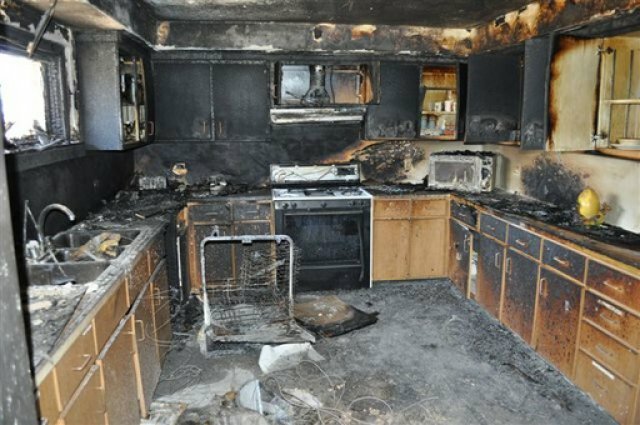 “Cooking appliances should never be left unattended when they are in use and items that could easily catch fire – like kitchen roll or towels – must never be left near cookers or other potential sources of ignition. “When fire does start then the presence of working smoke alarms is often the difference between a traumatic incident that damages property and a tragedy where someone is injured or even killed. 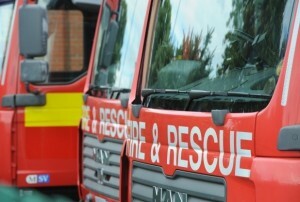 “These are life-saving devices and it is absolutely essential that every property is protected by working smoke alarms. “We need the public’s help to reach those who are at most risk from fire and help them stay safe in their homes, so if you know someone who could be vulnerable then please put them in touch with us. Oven Fires are one of the top 5 causes of residential house fires in the UK. I hope you are not reading this topic while an oven fire rages away in your kitchen. If you are, skip to the bullet points below, then call the fire service. I wonder what the search volumes are like for the term ‘ what do i do if my oven is on fire’ ? It’s best to be prepared, you can almost entirely avoid an oven catching fire by following some simple cleaning and maintenance steps. It really is this easy. At Glasgow Oven Cleaners, we understand that juggling cleaning tasks around a hectic lifestyle can be a challenge, but there is never a good enough reason to compromise on the safety of your family. Read the fire statistics for yourself, it’s frightening. Always check the roof of the oven. Clean your oven on a monthly basis following these steps and you won’t run the risk of destroying your home. Our checklist will help you select the best oven cleaning company for the job. Read our checklist here. ScotClean Solutions – Glasgow Oven Cleaners, operate across all areas of Glasgow offering a deep clean oven service. What do you think about this post ? Should the homeowner be to blame for allowing the oven to become so dirty ? Do we need a public campaign to increase public awareness ? Stay clean, stay safe ! From all the team at Glasgow Oven Cleaners. Oven cleaning Glasgow from Glasgow Oven Cleaners. A family run, professional cleaning company.